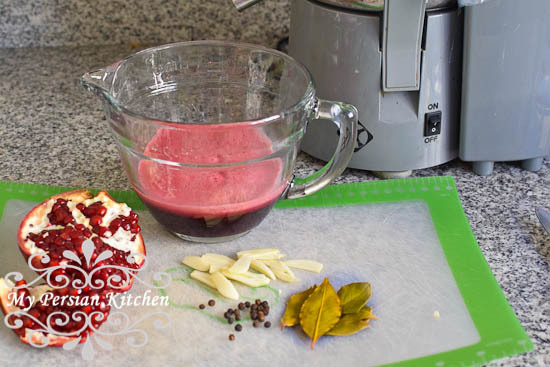 Juice pomegranates, then to it add the aromatics. 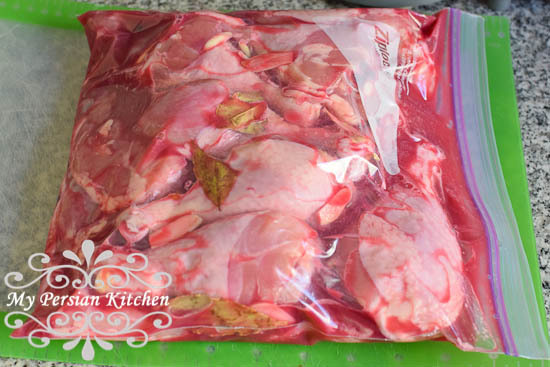 Place the chicken pieces in a bag along with the marinade and let it rest at least overnight. Look at the gorgeous color of this chicken. 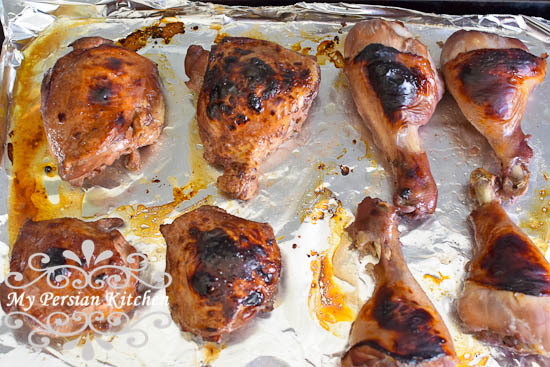 Spray chicken with oil, then grill on low until cooked all the way through. 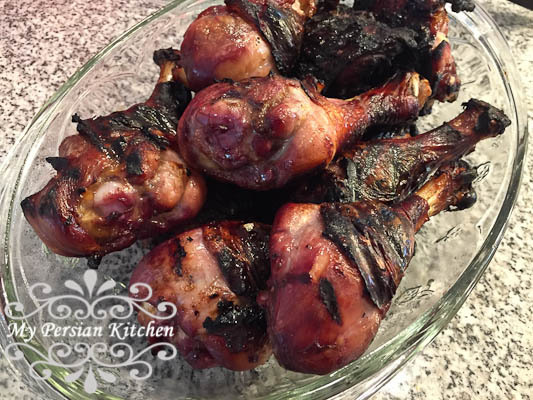 While the skin gets pretty dark and it looks like it’s totally burned, it’s actually crisp and delicious! This was my store bought juice and oven roasted experiment. 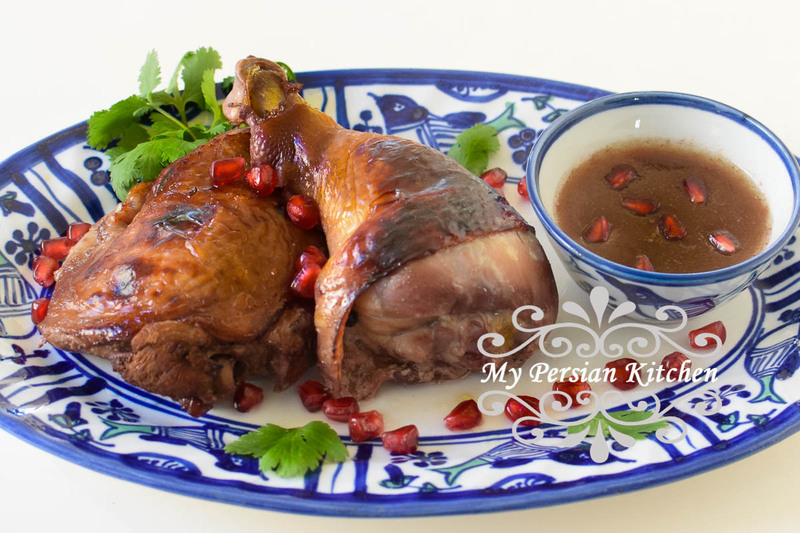 I roasted the chicken in about 1 cup of the marinade at 450° for half hour until the chicken was done. You can certainly see the difference in color when compared to the ones above. I removed the chicken from the juice. 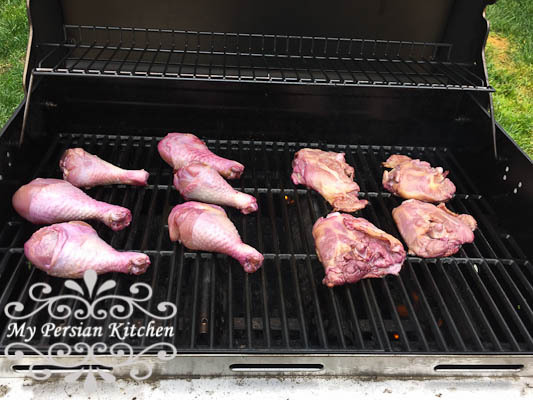 I popped the pieces under the broiler set on low for 3 minutes to crisp up their skin. 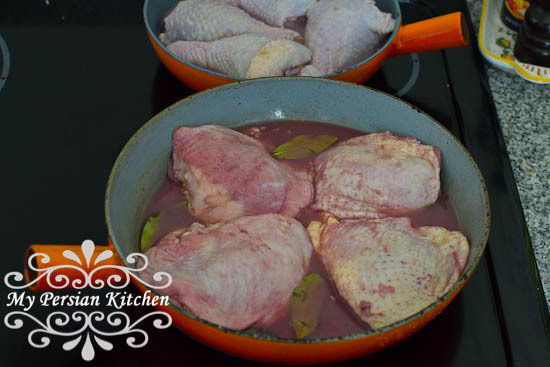 Then, I reduced the pan juices and served it with the chicken. So which method is your favorite?